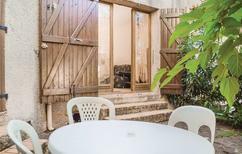 Holiday apartment for four people with architecture that is typical of the country. 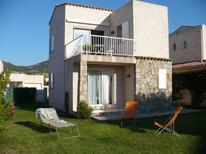 Located in a holiday complex on Corsica directly by the sea. 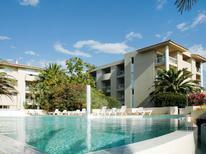 Corsica | Would you like to know which holiday home or apartment is particularly worth spending a holiday in? 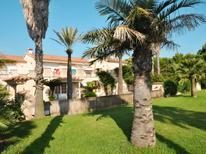 Here we'll show you the accommodation on Corsica, which has received the best reviews from our customers. 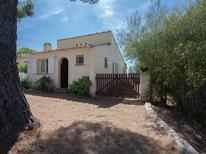 A holiday house on Corsica costs on average GBP 793 in the cheap travel period and GBP 1,661 in the peak season per week. These details are of course in relation to the house and not per person as well as includes the obligatory additional charges. In the western Mediterranean Sea surrounded by bright blue water rises a mountain range – the island Corsica. It impresses with a large variety of landscapes: long fine sandy beaches, picturesque mountain villages and secluded bays contrast with impressive red rock formations and steep sloping cliffs. 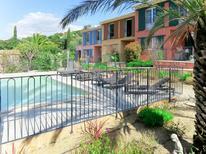 atraveo offers more than 1,400 holiday apartments and houses on Corsica. Whether holiday complex or holiday village, detached holiday house or family run holiday apartment – on atraveo you are able to find the comprehensive range of accommodations that guarantee a lovely holiday home vacation. Regardless what you opt for you will be able to see the lovely surroundings on Corsica and sea from the terrace or own garden. Many of the accommodations are close to the coast, bathing bays and in or around the nice port towns such as Porto-Vecchio, L’Île-Rousse or Calvi. 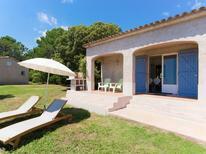 The offer range also includes higher situated holiday houses, mini villas and terraced houses. Corsica particularly captivates with its impressive landscape. Mountainous country with summits reaching an altitude of more than 2,500 metres, lovely nature and beautiful beaches go hand in hand on this island. Corsica is a paradise for both those seeking tranquillity and people more looking for an active vacation as the island has secluded beaches and hiking routes through the beautiful nature. There are also loads of water sport activities on offer as well as climbing tours and cycling trips. Corsica is also famous for its scented Macchia which are bushes that cover around half of the island. Next to the lush green bush plants lavender, tree heath, broom and much more grow here. Supposedly Napoléon Bonaparte said he was able to recognise his homeland by the scent you will encounter during your holiday. Corsica has a range of water sport activities both for beginners and pros. You can go kayaking out on the sea or alternatively do so in lower courses of the river with the kids. The more advanced will find some challenging routes in the upper parts of rivers that wind through breathtaking landscape. In the fish rich Mediterranean surrounding Corsica diving and snorkelling is an impressive experience. On the eastern coast of the island you can observe a number of water birds and waders from October to March with the large swarms resting here during bird migration. The mountainous landscape in Corisca‘s hinterland is ideal for extensive cycle tours, hikes or rides. A particularly nice thing is that you can always cool off in one of the small rivers or streams. At the coast south of Porto you able to find particularly impressive rock formations: Calanche. These granite rocks that glow red in the sunlight were formed by water and wind. The so called Tafoni are rugged rocks where you will be able to discover various formations. You will see a large tortoise, stone Indian head, a heart and much more between the rocks. The Calanche have been declared a UNESCO World Heritage Site and are a popular travel destination on Corsica. The island also has a lot on offer for climbers: Very popular climbing regions are for example the famous Bavella Valley in the departément Corse-du-Sud and Restonica Valley in departément Haute-Corse. One of the most important ingredients in the Corsican cuisine are chess nuts. On the island they are used like grain and processed to chess nut wheat. This is used for producing polenta as well as cake and other types of pastries. Even beer is brewed with chess nuts. Regional specialties such as glazed chess nuts or chess nut jam can be discovered along culinary travel routes (Routes des Sens Authentiques) specifically set out for tourists. In Corsican cheese and honey you will find the aroma of maquis and you may also want to take some delights back home with you. Particularly Corsican honey that is influenced by the range of scented plants and unrivalled intensive taste is a great gift. Corsica is also well known for their meat specialties. Often sausages are still produced by butchers in own production and flavoured with herbs. The ham of free range domestic pigs has an unrivalled taste. A good Corsican wine is provided with the food that originates from the island’s wine-growing. When deciding on how you want to travel to Corsica one is able to choose between the plane or a combined journey with an own car and ferry. The two largest airport that operate regular flights are Ajaccio and Bastia. Travellers who come with their own care can take one of the ferries that go to Ajaccio, Bastia, Calvi or L’Île-Rousse. Possible departure ports include Marseille, Toulon and Nice in South France und Genoa, Savona and La Spezia in Italy. The crossing can take between three and six hours depending on the route. Night ferries are also possible. Should you not arrive with your own car then you have the option of renting a car or scooter to explore the island. The latter is particularly suitable to get along the narrow roads in the mountainous regions. Also worth considering is a ride on the narrow gauge railway that operates across the island. The routes take you through lovely areas that provide great panoramic settings of the island landscape.